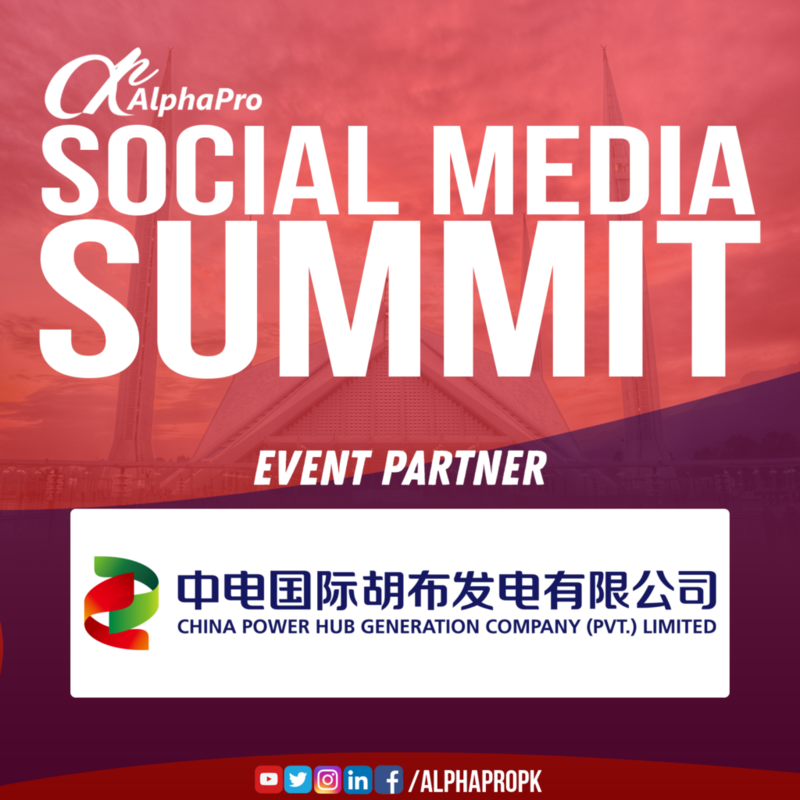 Islamabad, 12 March, 2018 – China Power Hub joins in the Social Media Summit 2018 which is organized by AlphaPro. The summit is anticipated to be the most successful event in creating sense and awareness in people regarding the uses of social media towards development and empowerment of businesses and individuals. China Power Hub Generation Company (Pvt.) Limited (CPHGC) is a joint venture company formed by two sponsors, China based company China Power International Holding Ltd (CPIH) and Pakistan based company The Hub Power Company Limited (HUBCO). The role of China Hub Generation Company in the development of Pakistan is commendable and by supporting the summit they have once again shown interest in growth of Pakistan and its locals. It is going to be held in March 2018. Pakistan is one of those countries who are realizing the power of social media and how it is playing an important role in influencing the opinion of the common people. Social Media is more like a platform for everyone to express their opinion and use their freedom of speech. The Summit is expected to be one of a kind; it is gaining attention of the locals with huge positive response and appreciation as people are really looking forward to it and are signing for participation. Companies like China Hub Generation are fulfilling their social responsibility towards Pakistan’s development by supporting events like Social Media Summit.